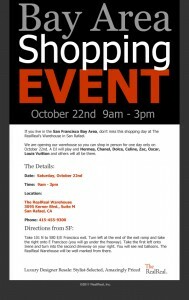 So, on Saturday, October 22, our Divas are doing it again. 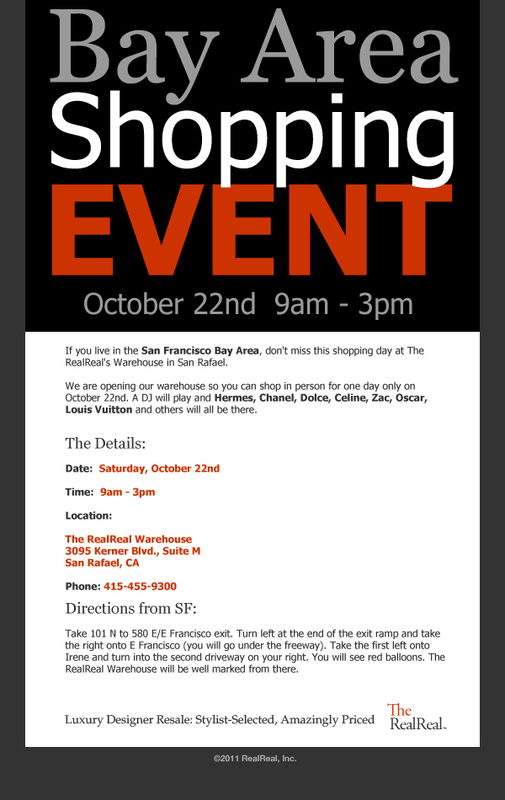 If you live in Northern California I encourage you to head to San Rafael to score some amazing designer pieces for a fraction of the cost. Let the Divas at The Real Real know that Tango Diva sent you! Clink on the image to get driving directions!